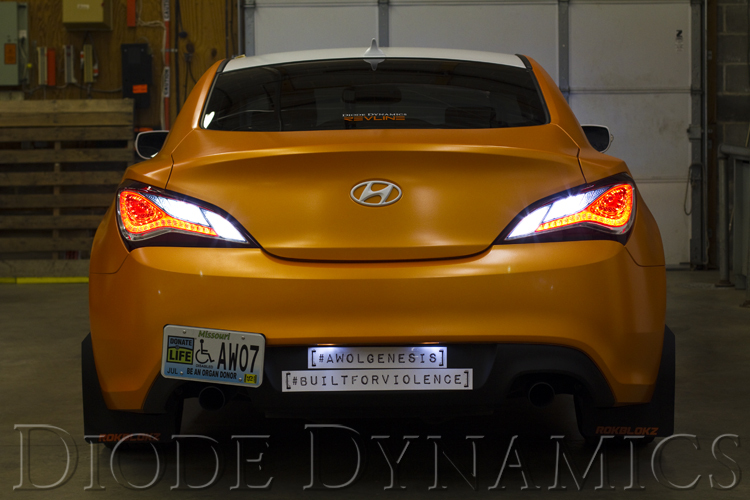 The Diode Dynamics Tail as Turn™ Module + Backup, for the 2013-2016 Hyundai Genesis Coupe! This is a unique mod that was 100% designed by Diode Dynamics in-house, and is manufactured by us right here in St. Louis, Missouri. Made in USA! The Diode Dynamics' Tail as Turn™ modules will make your nice LED tail light flash as the turn signal as well. With an array of LEDs flashing instead of an amber incandescent bulb, you'll have a unique, modern look! Then, since your old turn signals are no longer used, you can easily turn them into functional backup lights! You'll drastically increase your visibility. With the OEM tail light connectors, installation will literally take about 60 seconds, and does not require any wiring at all. I don't think you'll ever find an easier electrical mod! This kit will work with factory or aftermarket tail lights. 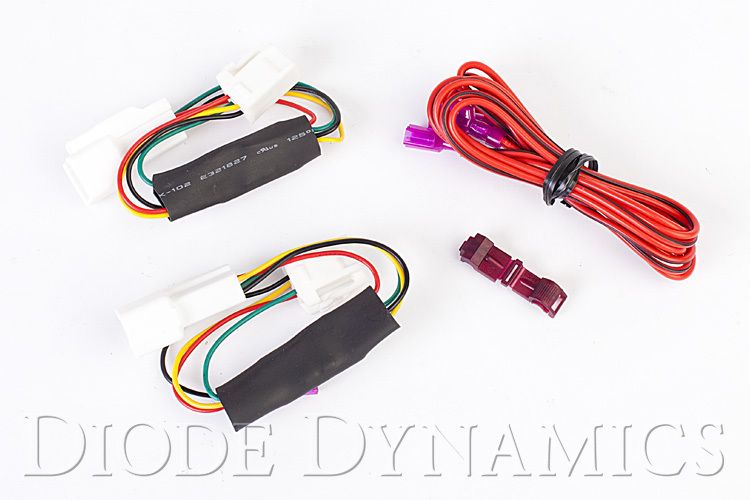 The base kit is just $50, which includes a pair of modules with OEM connectors, to convert your LED tail light into the turn signal, with extremely easy installation. All kits also come with the extra wire and connector to add backup lights where your old turn signals were, but you do need to run LED bulbs, since you're drawing on the factory backup light circuit. 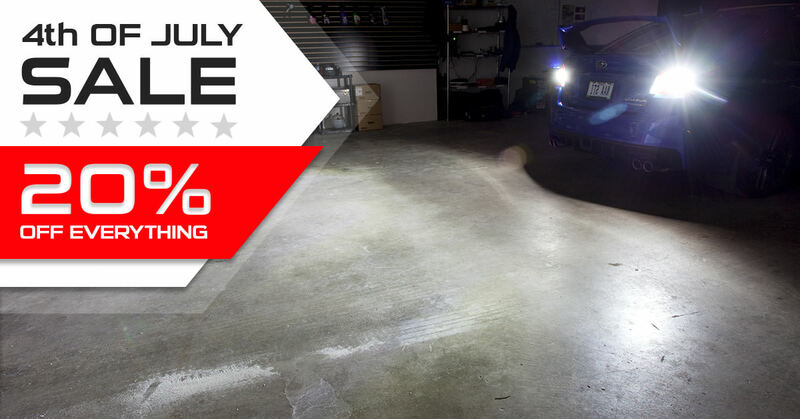 At Diode Dynamics, we also offer the highest-quality LED bulbs on the market, backed by a 3-year limited warranty. For the complete Diode setup, you can add a pair of LEDs to your order, or use any 1156-size white LED. Remember: at Diode Dynamics, we're here if you need us for support and service, with our award-winning service team. We have been in business for over 10 years. Diode Dynamics features an industry-leading 3-year limited warranty. Something wrong? We ship you the new item with a return label. No waiting around! Last edited by Diode Dynamics; 05-14-2018 at 05:09 PM. "Best thing for bk2 tails!" The tail as turn mod is the best thing you can do to your tails, extremely easy to install and super quick. All plug and play. And the extra set of reverse lights gives the car a nice look. Pretty bright too. And price isn't even that bad."